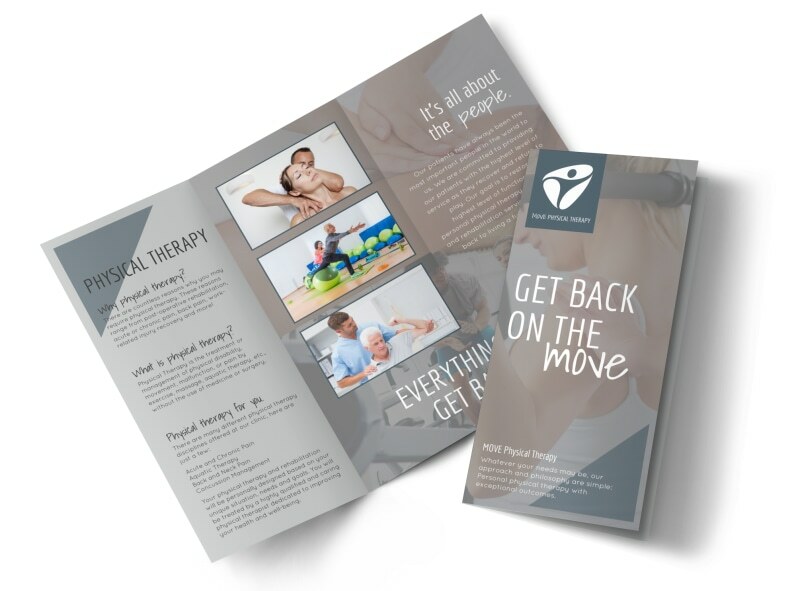 Customize our Move Physical Therapy Tri-Fold Brochure Template and more! Educate patients or help them get to know you and your staff better with this trifold brochure you customize for your physical therapy practice. Add your own message on each page, and then upload photos to drive it home. Get started today, and use our online editor to really own the design.